Plenty of interested shoppers seeking a luxury crossover SUV have focused on the 2019 Lincoln MKC. It’s just the right size for transporting people and a fair amount of cargo. You also enjoy smooth and unique styling, excellent features, and a driving feel like no other. Track down a 2019 Lincoln MKC for sale in Hawthorne by visiting us at South Bay Lincoln. We have an excellent selection and a professional staff to help you with your available options. Prepare to be transported to another level of comfort and fine craftsmanship with the Lincoln MKC. Quality shows in every detail of the crossover SUV, both on the exterior and interior. When you walk up to the vehicle in the dark, approach detection greets you with puddle lights, door pocket lights, and more without you having to do anything. Ambient interior lighting comes with seven color settings, so you get the right mood for any occasion. There’s even a hands-free liftgate available, so opening things up without putting down whatever you’re carrying is possible. As the driver, you’ll appreciate that the steering wheel is wrapped in optional hand-stitched Wollsdorf leather. You can also add Bridge of Weir leather-trimmed seats, which feel suppler and more luxurious than options from other brands. Enhancing the experience further with cooling and heating for the front seats is optional. Things change quickly in today’s world, and the Lincoln MKC will help you be prepared. It can be outfitted with some of the latest and greatest vehicle technologies, so you’re always ready for what’s just down the road. Through adaptive cruise control, you turn on just like regular cruise control. What’s different is that sensors tell just how far ahead traffic is in your lane, adjusting your speed for a safe following distance as things fluctuate. As traffic flows normally again, your vehicle will resume the speed you originally set. Thanks to standard electric power-assisted steering, you enjoy greater stability and control. 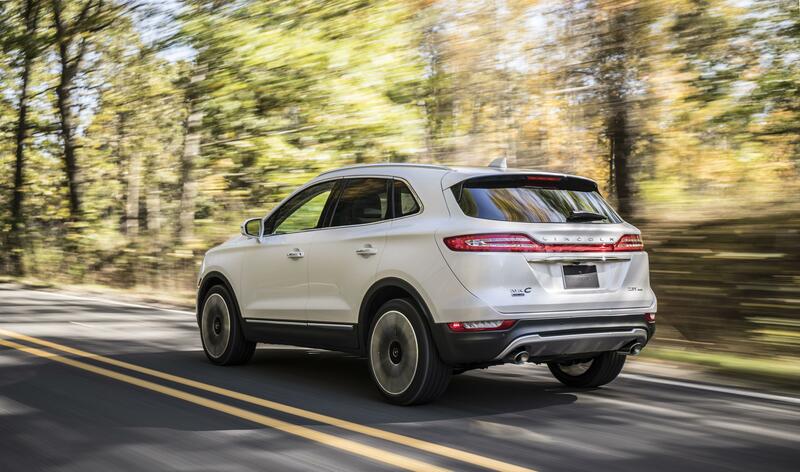 When you’re traveling at lower speeds, the Lincoln MKC turns quicker and with less effort, helping you maneuver through parking areas and other tight spots. At higher speeds the steering is less sensitive providing stability for the crossover. 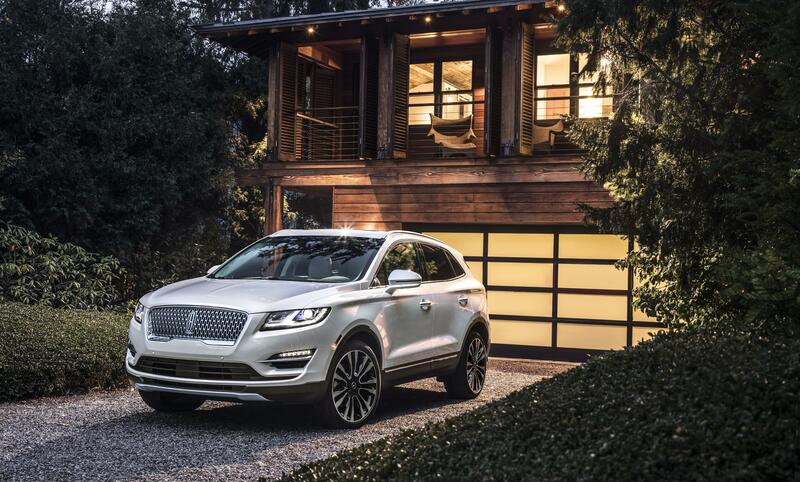 Just because the Lincoln MKC is a thing of beauty doesn’t mean it can’t pack plenty of power. You’ll feel an unrivaled sense of control sitting behind the steering wheel, filling you with the kind of confidence you need in a whole range of situations. For example, the optional 2.3-liter turbocharged engine produces a peak 285 horsepower and 305 lb.-ft. of torque. That’s accomplished without absorbing fuel, thanks to direct fuel injection and twin independent variable camshaft timing. A six-speed SelectShift automatic transmission works to make every drive more exhilarating. While it shifts between gears smoothly for you, paddle shifters mounted to the steering wheel allows you to control things when you want. Intelligent all-wheel drive also keeps you in command of the vehicle. Adding this optional system means torque automatically - balances between the front and rear axles for superior traction. Now that you know about the 2019 Lincoln MKC features, come to South Bay Lincoln to get an excellent deal on one today!